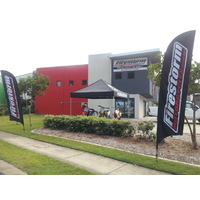 Firestorm Motorcycles specialises in shipping spares parts, accessories and apparel Australia Wide from our retail store in Tweed Heads NSW, as well as from warehouses in Sydney, Melbourne, Brisbane and Perth. If you don't see what you want listed here on our site, we can usually get it for you from one of our 30 plus suppliers. Our friendly staff have over 50 years combined experience both as riders and within the industry, so feel free give us a call and let us help you. Our retail store has been operating for over 20 years and stocks a great range of spare parts, accessories and protective gear for both road and dirt riders. We also have a full workshop to service and repair most makes of bikes. If you have and questions please feel free to contact us and we would be happy to assist.